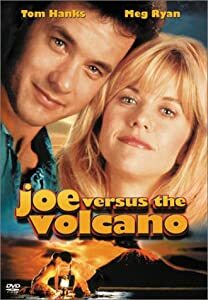 One of my favorite movies is “Joe Vs. the Volcano,” which stars Tom Hanks and Meg Ryan (with a cameo by none other than Abe Vigoda to boot!). This sometimes silly movie has some great quotes and a deeper meaning than many perceive upon first viewing it. One of my favorite quotes is printed above, and I think it was this quote that gave me the answer I often give when people ask me how I am. When people ask, “How are you?” I will say (about 90% of the time), “ I am awake.” I mean this on two levels. First, I am actually awake and not asleep. But on a second and more important level, I also mean that I am trying to live my life in a state of awareness. While originating from Buddhist teaching and practice, I also find it an appropriate way of trying to live as follower of Christ. I want to be aware and awake to the world around me, especially when it comes to my fellow travelers on the journey of life. Only then can I truly be Christ to those I encounter. If only I could practice this as much as I say it. Now this is where I write some words that are as applicable to myself (maybe even more so) as they are to anyone else who may read them. It is so easy for most of us to have a negative opinion of ourselves, to devalue our accomplishments, and see ourselves as unworthy. After all, not many of us are perfect, not many of us are “Hollywood Star” beautiful, and most of us are not at the top of our fields occupationally. And these last few sentences show us where the problem lies. It is found when we compare ourselves to others. Often we want to be somewhere other than where we are, or even to be someone other than who we are. We tend to compare ourselves constantly with others and wonder why we are not as rich, as intelligent, as simple, as generous, or as saintly as they are. Such comparisons make us feel guilty, ashamed, or jealous. It is very important to realize that our vocation is hidden in where we are and who we are. We are unique human beings, each with a call to realize in life what nobody else can, and to realize it in the concrete context of the here and now. The task before each of us is not to weigh ourselves in some cosmic balance scale against our fellow travelers and find ourselves lacking. No, it is to find our unique calling in life; to discover what it is that we can do in our own contexts that no one else can do, and then to live that calling out in our daily lives. In my situation, I know that there are better pastors out there in the world, pastors with great interpersonal skills and overflowing compassion. There are certainly better preachers. And since I am no saint, I know that there are plenty of people whose lives are more holy and more closely aligned with God’s will and desires. But no one else is the pastor of First UMC in Pottstown. That is my calling, and mine alone at this time. If the people of my church are to be ministered unto, it is up to me to do the ministering. In the same vein, no one else can be the father of my daughter Desiree. If she is to know the love and care of a father in the here and now, I am the only one called and empowered to give her a father’s love and care. I could go on, but I think you get my meaning. How about you? What is, or are, your unique calling(s)? What can you do that no one else can do? Are you willing to live out who you are, rather than trying to be someone you can never be? You are of infinite value, and when you begin to see this and live this truth in your life, you make all the difference in the world to those around you. Tony Campolo posed the question, “If there were no heaven and no hell, would you still follow Jesus?” I started to answer, but stopped. I had to admit that I’m not even sure I follow Jesus now. I’ve been a Christian for many years. I believe that Jesus is who He says He is. 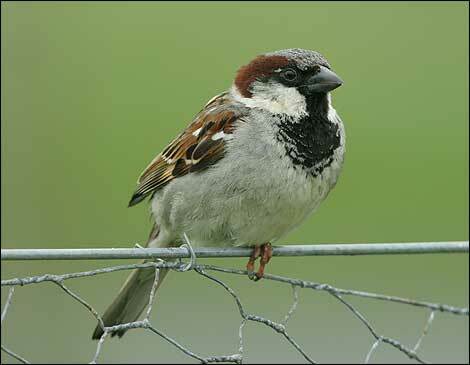 I invited Him into my heart (over a hundred times…and counting! Thank you, A/G youth camp!). I always cooked at the men’s fellowship breakfast. Spoke in tongues (but was never “slain in the Spirit”–I’m no wacko). I do my best to be obscenely generous. I’ve experienced immediate healing when I called together the elders of my church. I pray (for other people, not just myself). I don’t know too many orphans, but I help widows and reach out to strangers whenever I can. I go to third-world countries and help build meeting places for the Church to gather. And this little light of mine? I’m gonna…well, you know. Is that following? The idea of following Jesus has somehow been blurred into . . . Christian activities. I’m not saying these things have no merit. I just question whether they necessarily represent an accurate definition of following. If I say I’m following Jesus, then it stands to reason that I am going somewhere that Jesus has been, or that I am doing something Jesus did. Yeah, we did the gay coffee thing, and I’ve sat in the gutter and befriended homeless guys in the city. But I still stop for a cheese steak on the way out of town and come home to my sleep-number bed (Jesus didn’t have a bad back like I do, you see). Is there a balance (as we all so desperately hope)? Or is that a cop out? Would you still follow? Do you follow? The question of whether or not I am truly a follower of Jesus is one I ponder almost every day. The only days when I don’t struggle are the days when I allow all my church activities and business to keep me so busy I have no time for reflection. I have been a “Christian” for 38 years and a pastor for 20 and yet I still wonder at times: Do I follow Jesus? I think it’s a question every Christian should consider often. The question that Campolo poses at the beginning of Marshall’s post in one of my favorites to pose to new members, older children, and especially confirmation age youth. It is always amazing to see how many people “follow” Jesus in order to avoid hell and gain heaven. It just seems a little mercenary to me, but then again Paul once said “If in this life only we have hoped in Christ, we are of all people most to be pitied.” (1 Corinthians 15:19). My desire is to follow Jesus regardless of the rewards that are forthcoming, however. My desire is to follow him because of the great love he has shown the world and to me.